The walkout is unfolding a week after a New York Times story detailed allegations of sexual misconduct about creator of its Android software, Andy Rubin. 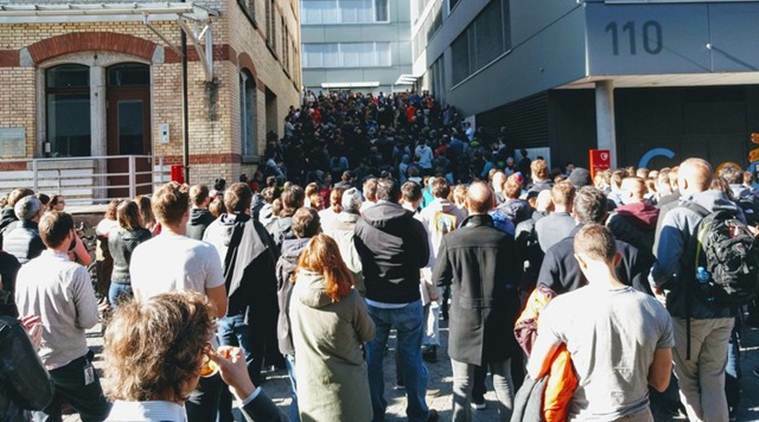 San Francisco: Hundreds of Google engineers and other workers around the world walked off the job Thursday to protest the internet company’s lenient treatment of executives accused of sexual misconduct. The fulmination of the employees is the latest expression of a backlash against men’s exploitation of female subordinates in a business, entertainment and politics. 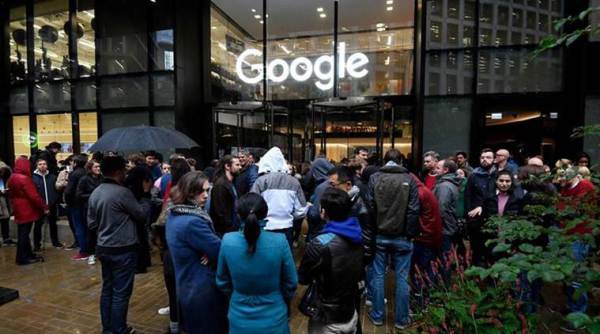 In Silicon Valley, women also are becoming fed up with the male-dominated composition of the technology industry’s workforce — a glaring imbalance that critics say fosters unsavoury behaviour akin to a college fraternity house. The Google protest, billed “Walkout For Real Change,” is unfolding a week after a New York Times story detailed allegations of sexual misconduct about creator of its Android software, Andy Rubin. The report said Rubin received a USD 90 million severance package in 2014 even though Google concluded the sexual misconduct allegations against him were credible. Rubin derided the Times story article as inaccurate and denied the allegations in a tweet. The same story also disclosed allegations of sexual misconduct of other executives, including Richard DeVaul, a director at the same Google-affiliated lab that created far-flung projects such as self-driving cars and internet-beaming balloons. 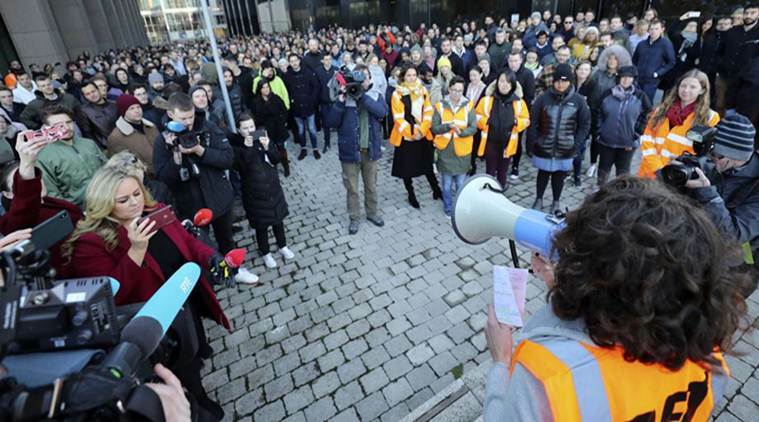 People gather next to the Google office to attend the Google Walkout in Zurich, Switzerland November 1, 2018. This picture is obtained from social media. DeVaul had remained at the “X” lab after allegations of sexual misconduct surfaced about him a few years ago, but he resigned Tuesday without severance, Google confirmed Wednesday. Google CEO Sundar Pichai apologised for the company’s “past actions” in an email sent to employees Tuesday. “I understand the anger and disappointment that many of you feel,” Pichai wrote. 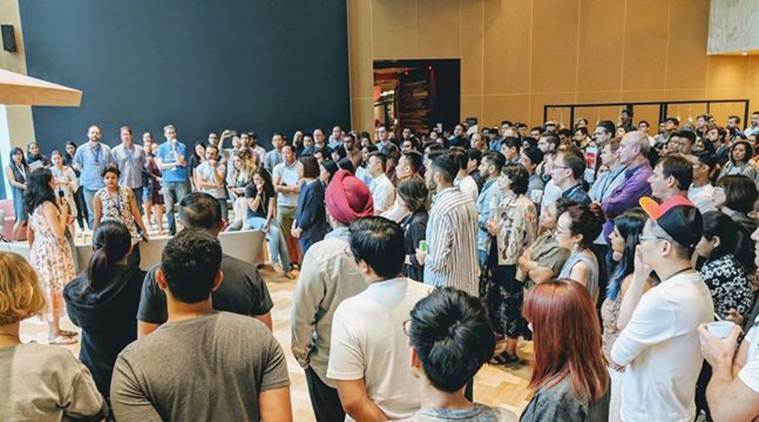 Google employees gather in a common area to attend the Google Walkout in Singapore, November 1, 2018. This picture is obtained from social media. A Silicon Valley congresswoman tweeted her support of the Google walkout using the “metoo” hashtag that has become a battle cry for women fighting sexual misconduct. “Why do they think it’s OK to reward perpetrators & further violate victims?” asked Rep Jackie Speier, who represents an affluent district where many of Google’s employees live.